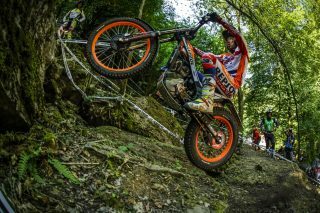 Bou put on a fine display of riding prowess today in Comblain-au-Pont in the sixth round of the World Championship, where despite starting with an injury, was able to outclass his rivals in the fight for the title. 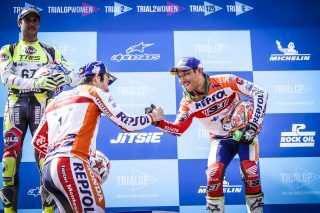 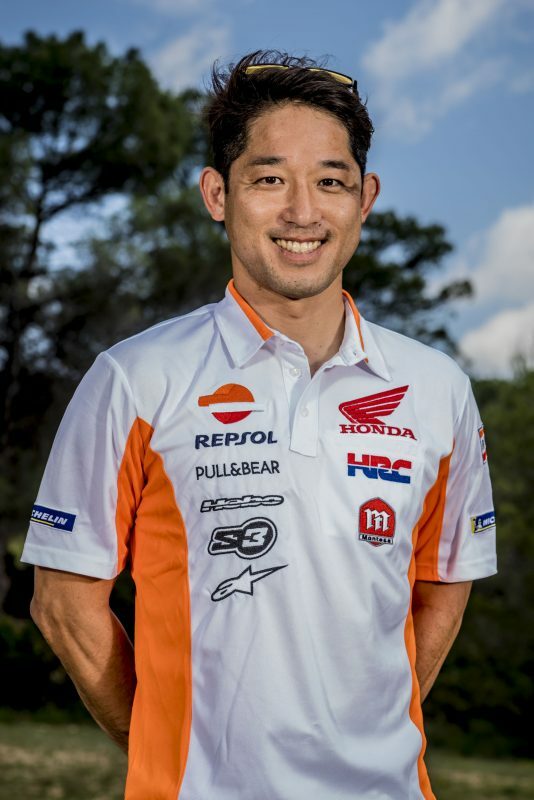 Takahisa Fujinami occupied the third step of the podium, proving to be Repsol Honda Team’s first rostrum double so far this season. Toni Bou injured his right knee yesterday in the qualifying round and after a medical check-up had to spend the night bandaged up. 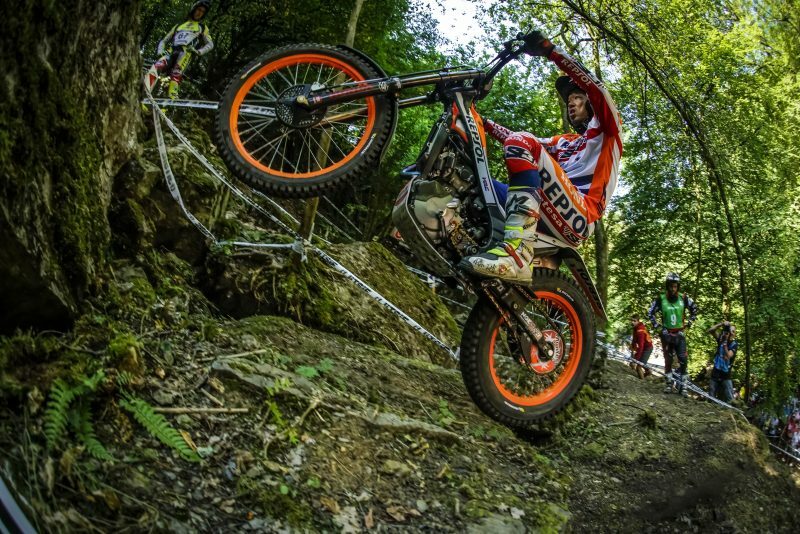 The champion, nevertheless, came out guns blazing, keen not to let the injury be a hindrance. 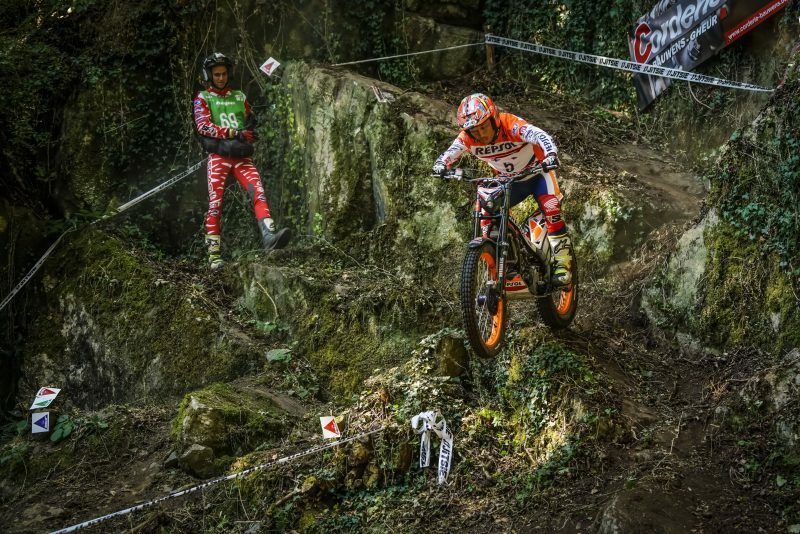 Leader by the end of the first lap, in the second he kept his adversaries firmly in check to score a brilliant first place. This is victory number 100 with the Montesa Cota 4RT since joining the team in 2007. 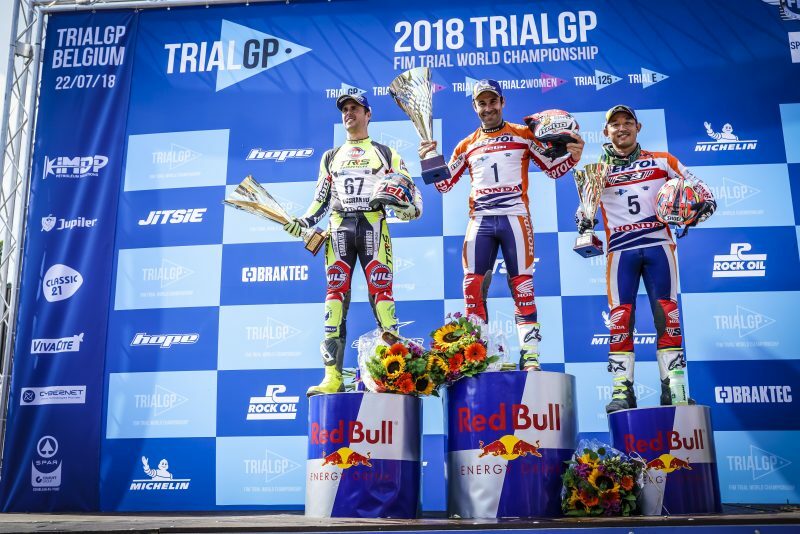 Bou extends his overall advantage in the TrialGP World Championship to twenty-three points over the nearest second place rival. 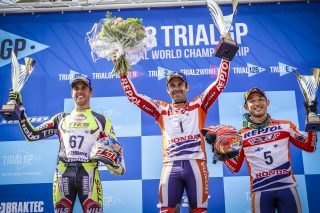 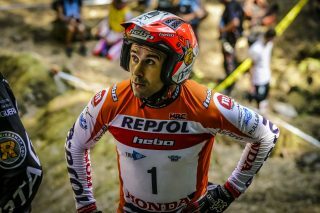 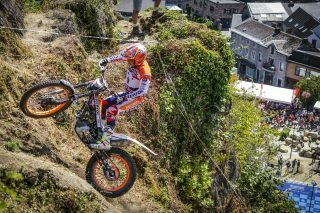 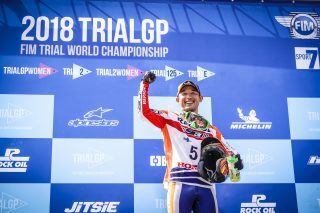 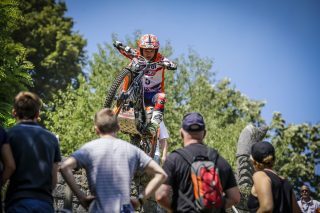 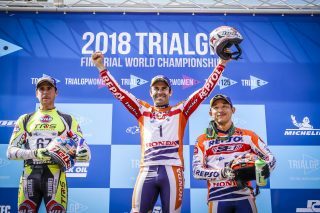 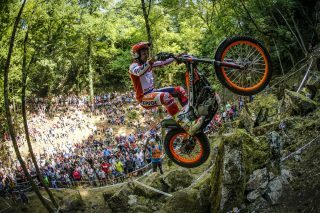 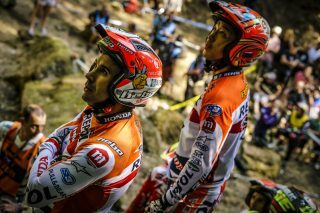 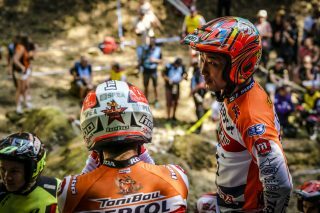 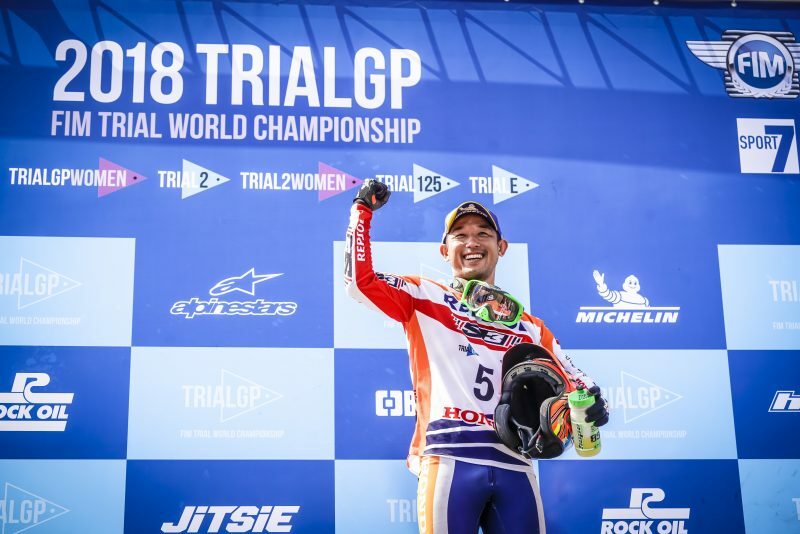 Bou’s Repsol Honda Team team-mate, Japanese rider Takahisa Fujinami, took an excellent third place on the day where he fought nail and tooth from the first section. 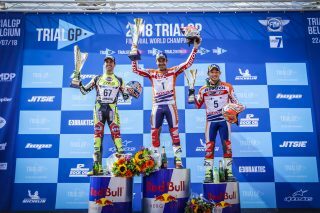 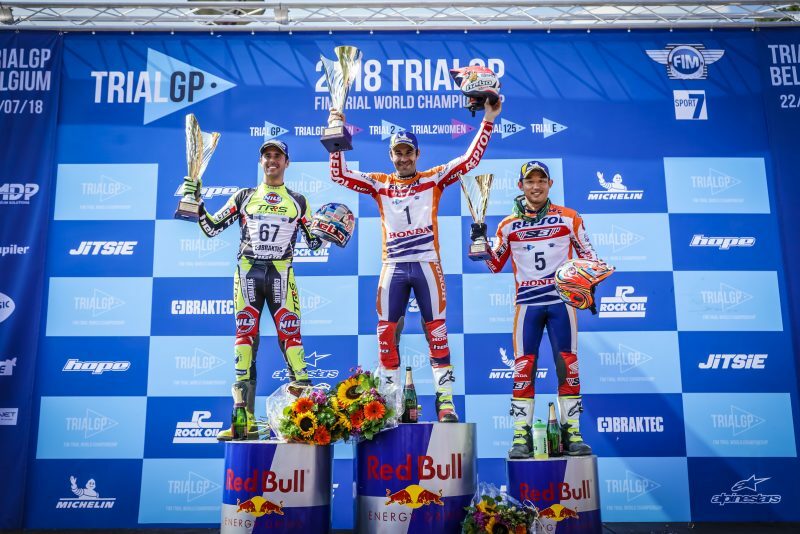 The hard work paid off as the rider took his second podium of the season – after the one in Japan – as the team clinched the first podium double of the 2018 season. 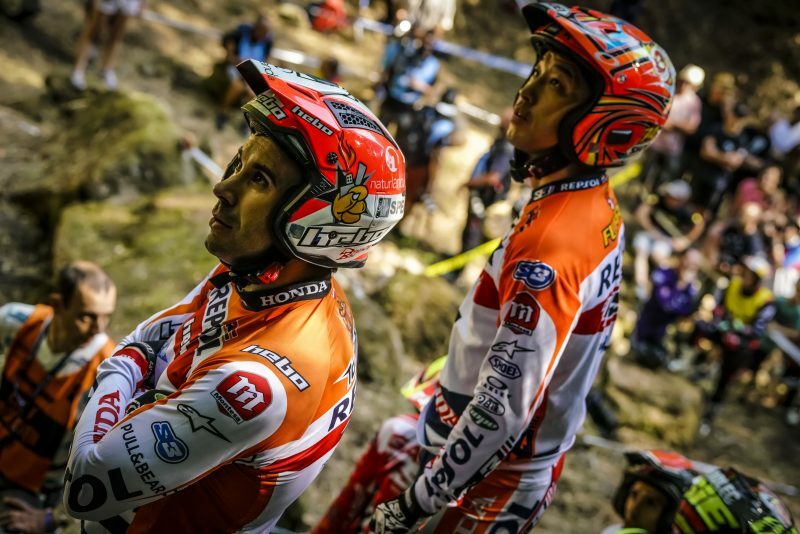 ‘Fujigas’ climbs a position and now holds sixth in the provisional world championship table. 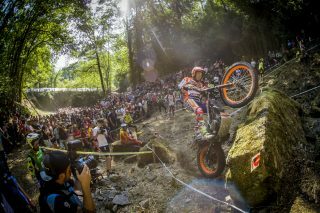 The course of this sixth event in the top flight category was a demanding one that invited easy mistakes. 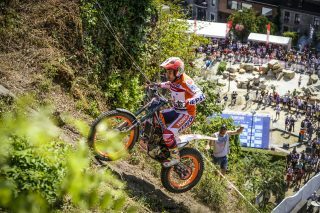 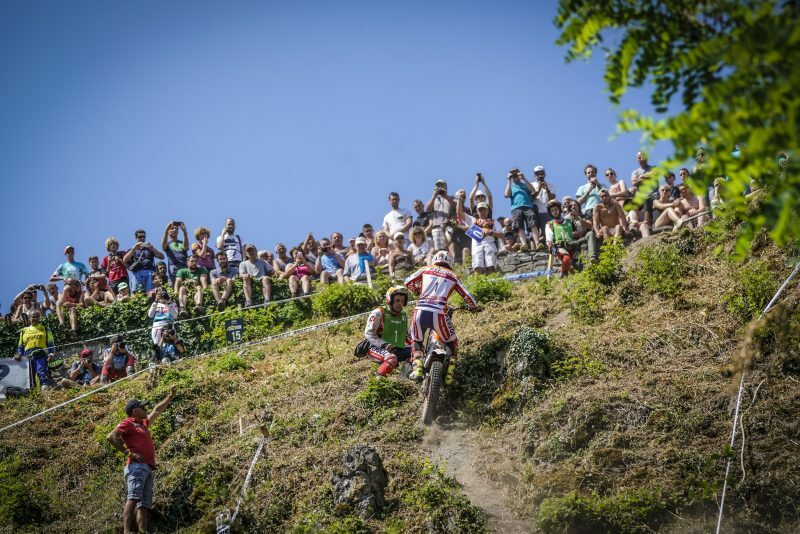 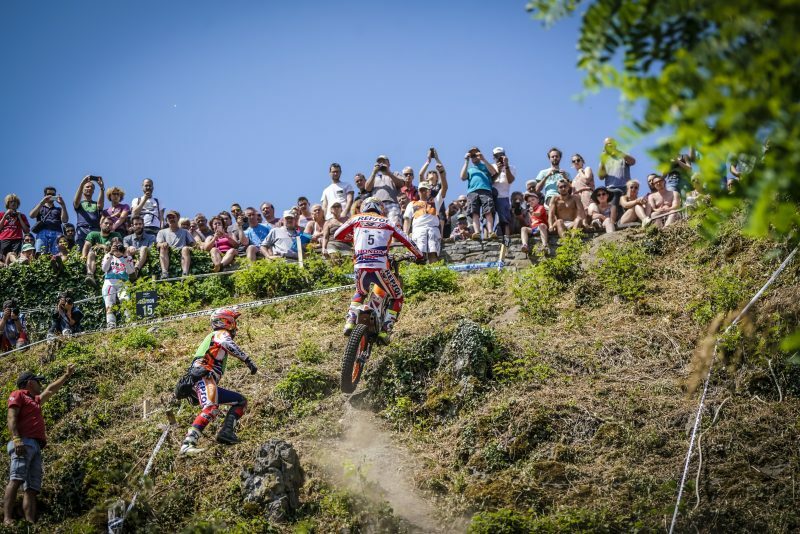 In addition, the heat proved to be one of the day’s main protagonists, forcing the riders to constantly hydrate to not lose strength on the longest fifteen-section course of the trial calendar. 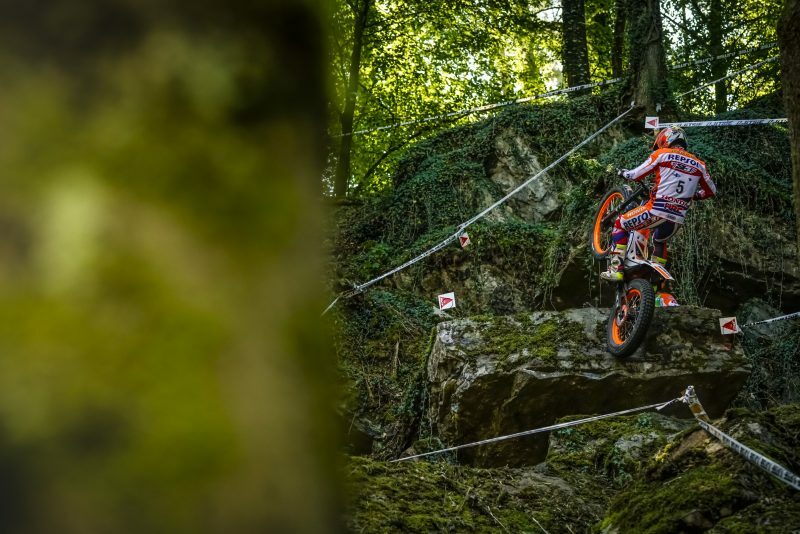 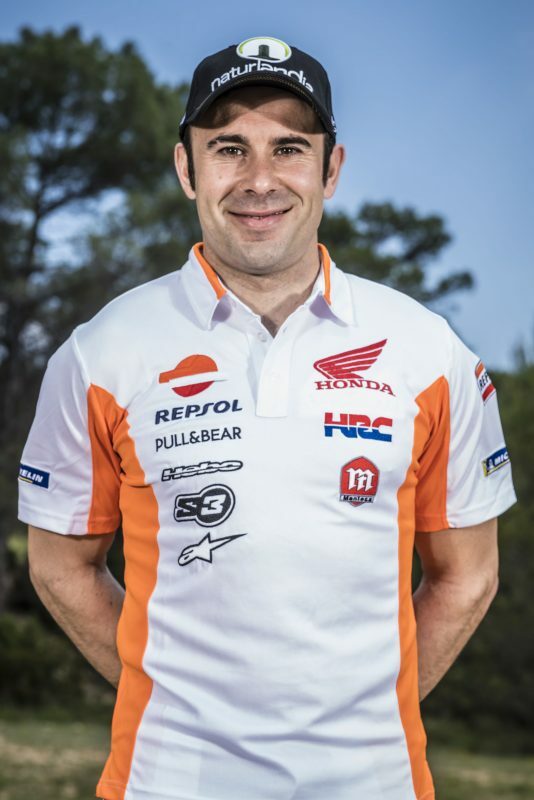 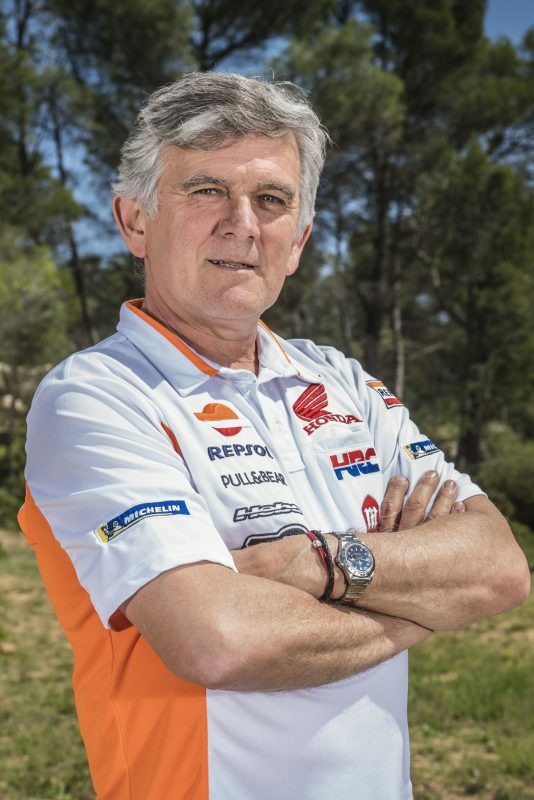 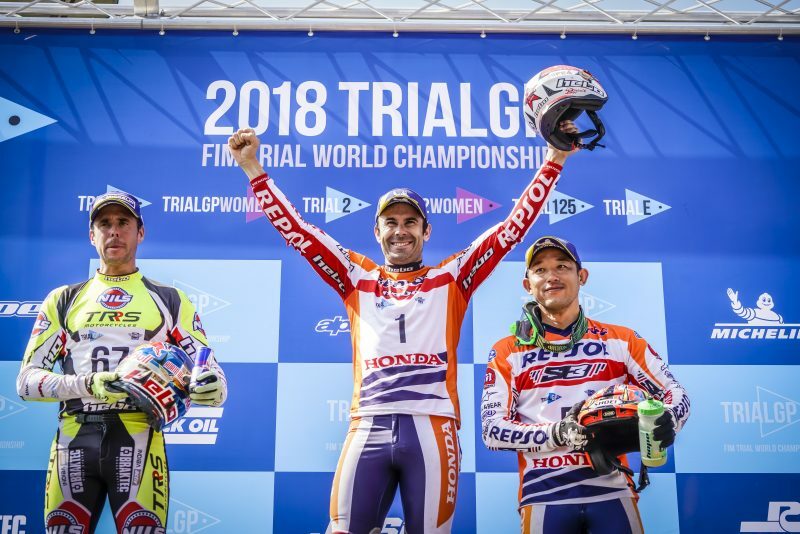 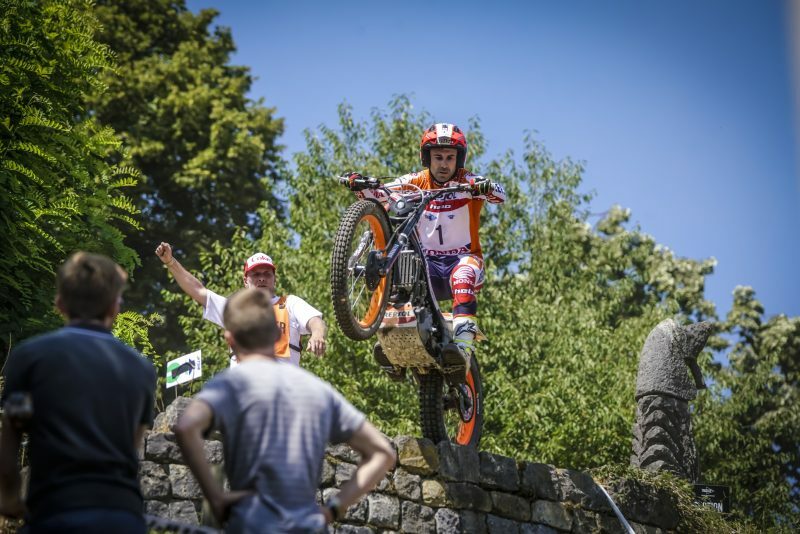 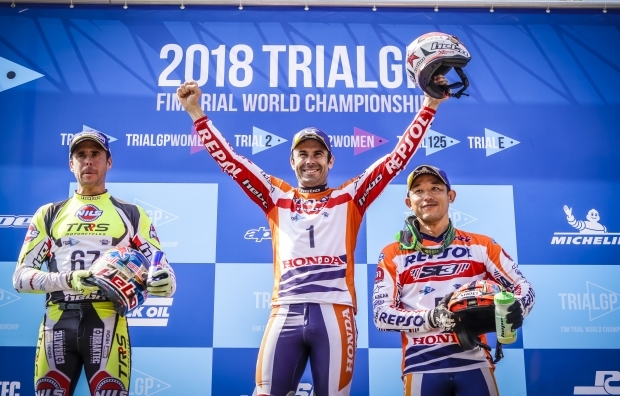 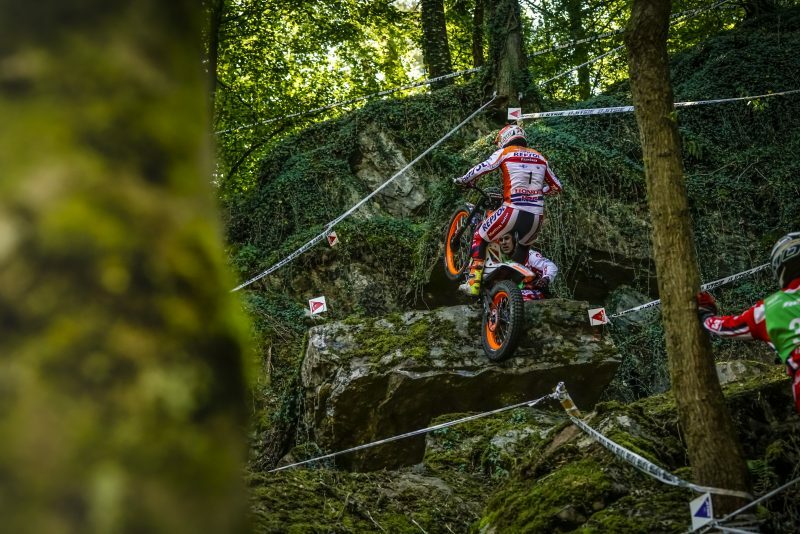 Repsol Honda Team now get a few well-deserved weeks of rest before returning to the competition for the seventh world championship event in Silsden, Great Britain, on 1st and 2nd September. I am very happy, mainly after what happened to me yesterday. 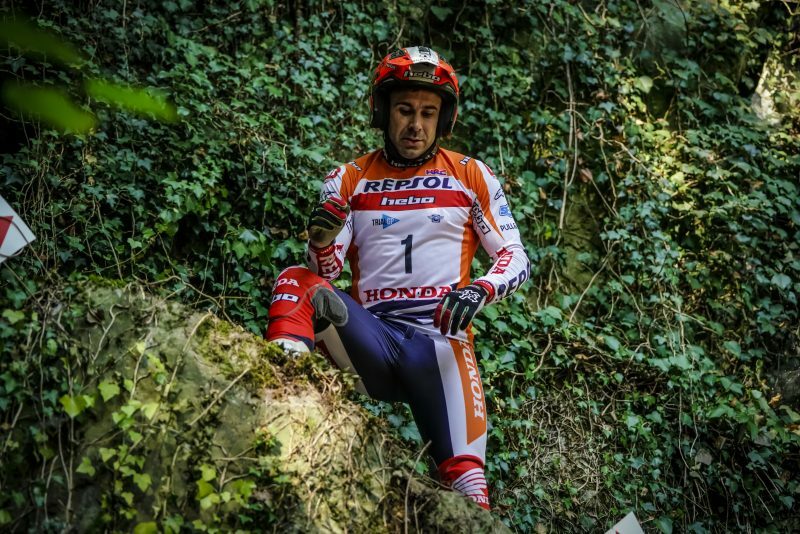 Today I passed a difficult night with a lot of fluid and during the race I was able to endure the pain, but it was complicated. 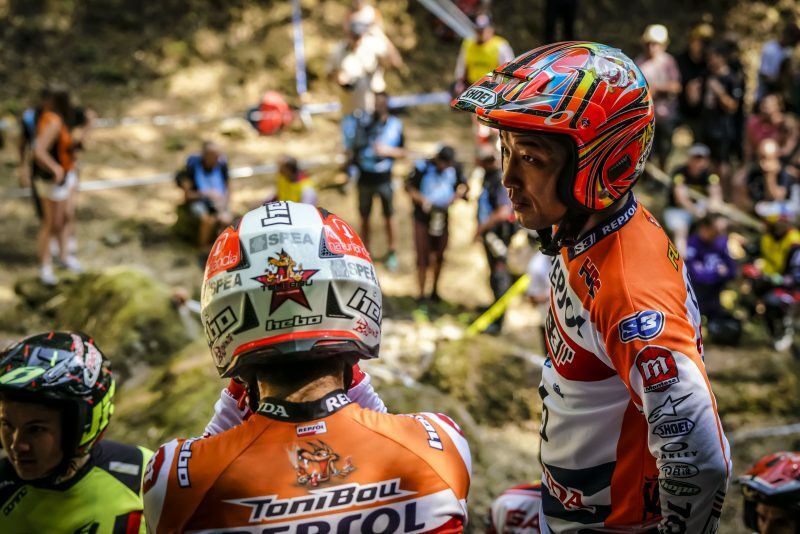 Thanks to all the team and especially my team-mate Fujinami who also went through a similar knee injury. 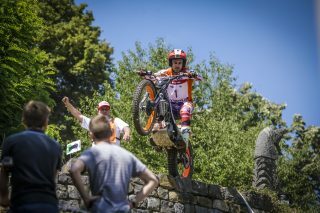 I've had a pretty bad time, saving every area almost at the limit, but finally I've achieved a fantastic first position that is very good for the championship. 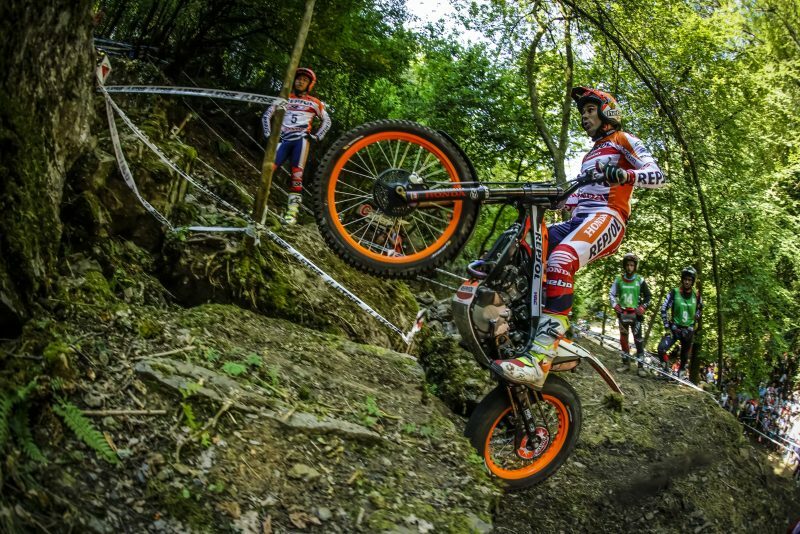 After Japan I struggled to get back the confidence, with bad races in Andorra and Portugal, but finally the podium came back after getting the good feelings back in France. 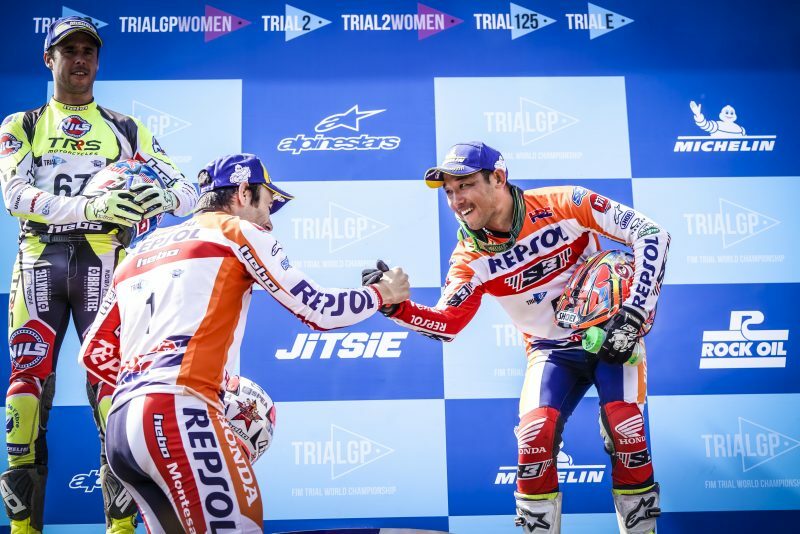 I am very happy also for my partner Toni, especially after he hurt his knee. 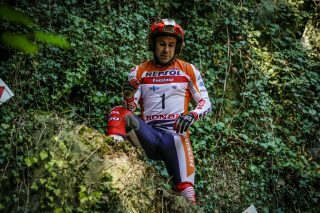 Today I had a small fall in section four, but I gave everything to finish third today. 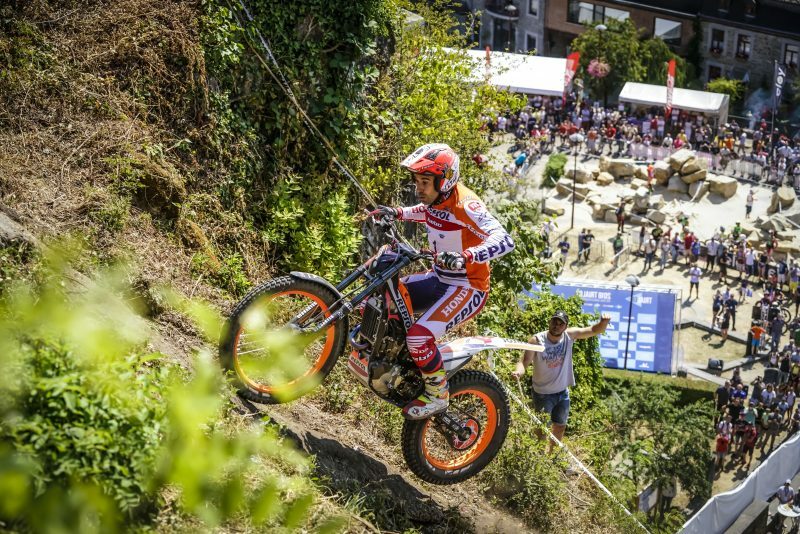 We are on a good track towards the final stretch of the Championship, although we will have to continue working. 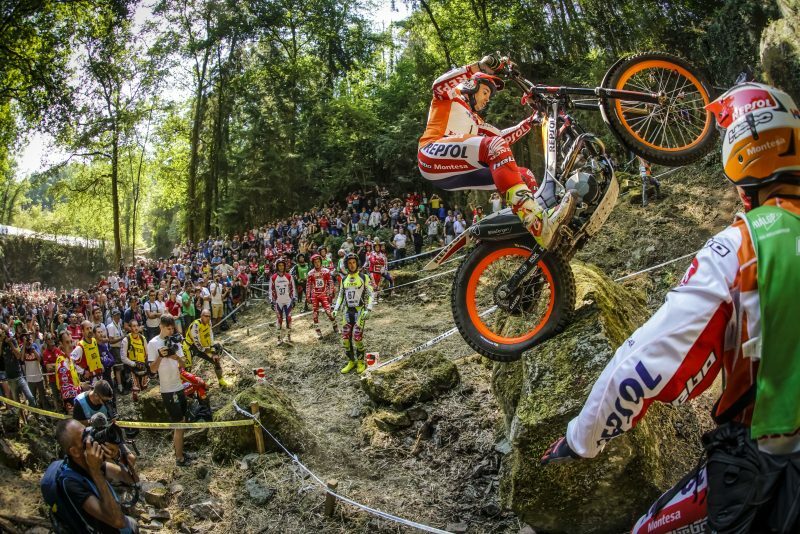 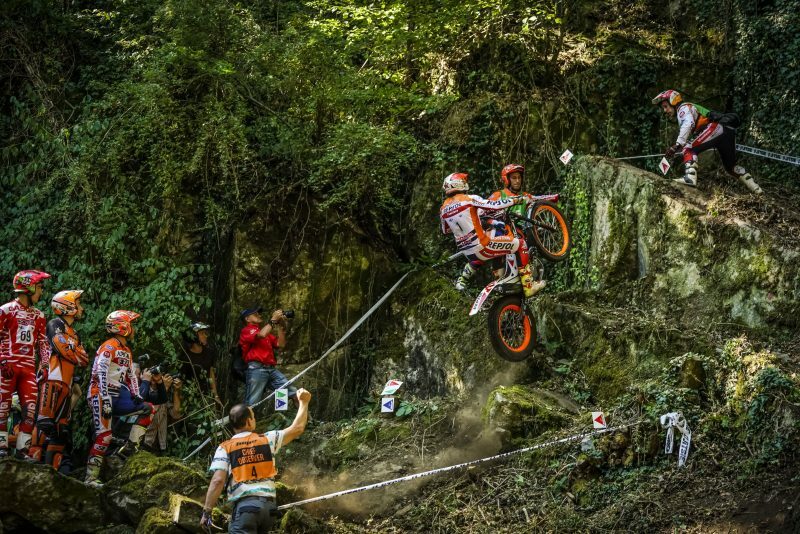 Today was a great day for the entire Repsol Montesa Honda team. 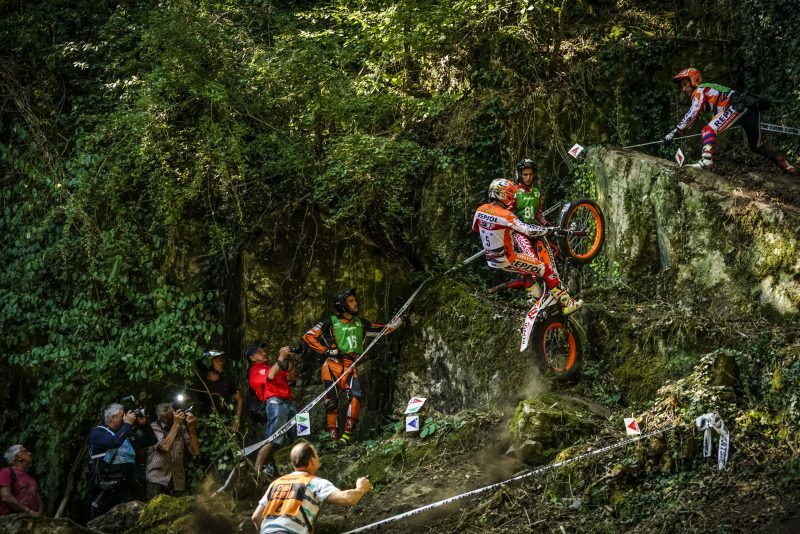 After Toni’s fall yesterday, today, our rider gave it everything. 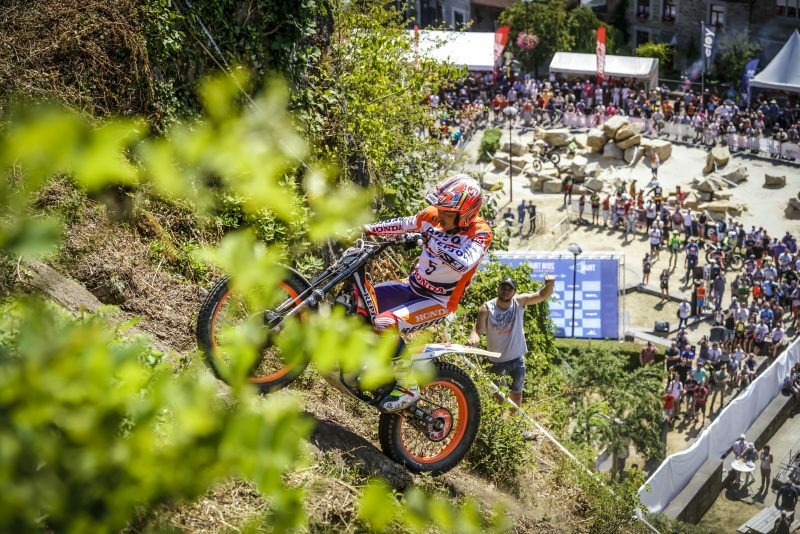 The whole team has worked hard and this first position was not easy. 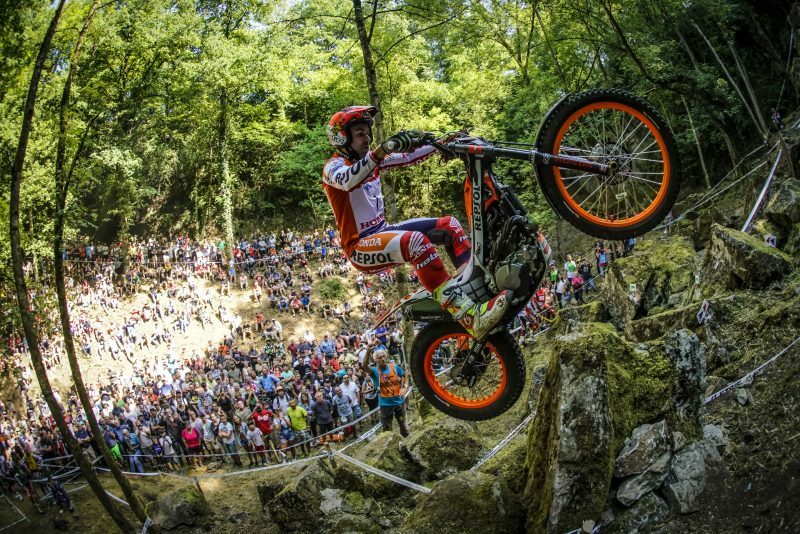 It's been a tough weekend but in the end Toni did it like never before and pulled out all the stops, as always. 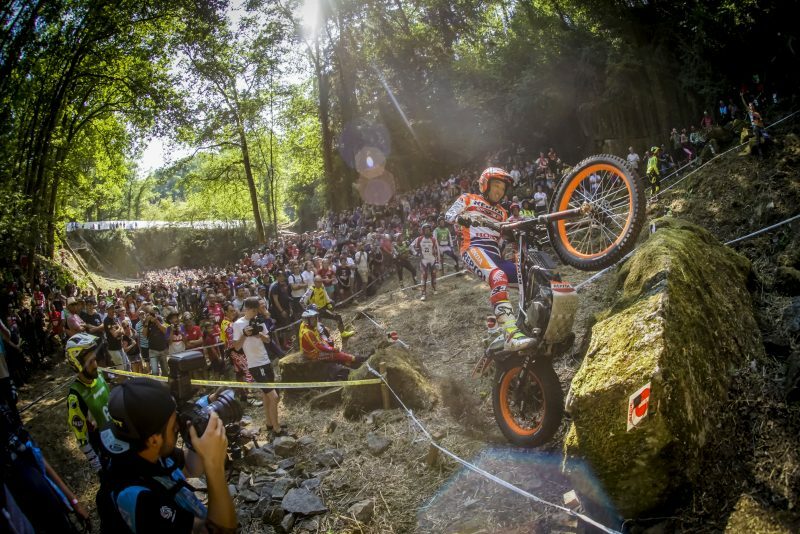 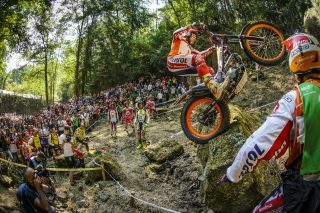 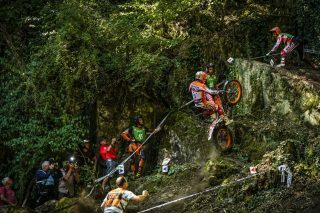 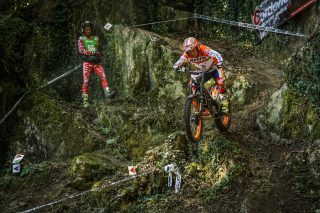 The third place of Fujinami was a spectacular result too, he won his podium place section by section. 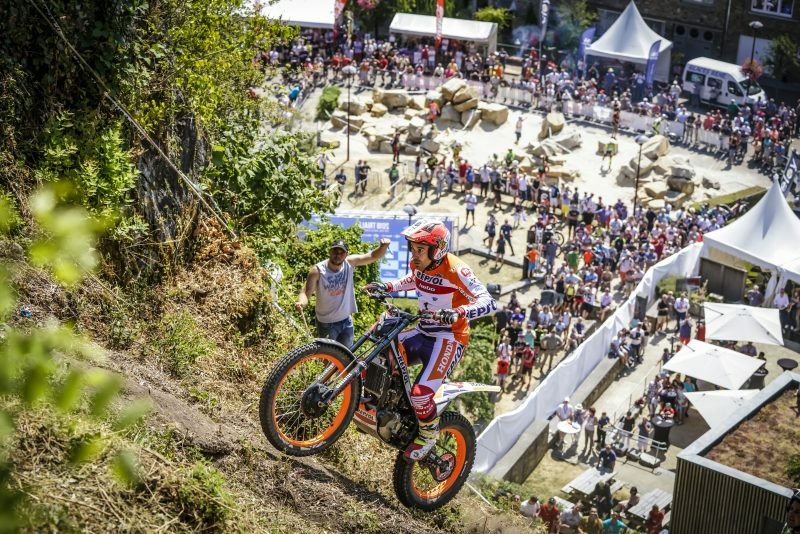 This result is good for the manufacturers' championship, but we are going to go trial by trial and we will see how things go in Italy.